Dense heavy mist clouded the air in front of me where rich tropical trees grew to great heights. Craggy rocks poked through the mist, while rivers and waterfalls ran freely across the island. One might wonder why am I here, when all seen of this place was a desolate island to be forever shrouded in mist. Well, you'd be wrong to say that this is nothing more than a desolate island, but I believe I'm getting ahead of myself. Which island am I in, you ask? Well, none other than Lutari Island. 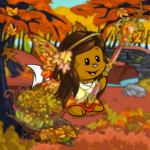 Lutari Day is just around the corner and it is here for us to celebrate one of the most unique and beautiful Neopets throughout Neopia; the Lutari. These friendly creatures which are excellent swimmers who spend a lot of time outdoors was once an extremely rare Neopet, only claimable during Lutari day on the 19th day of April. Though it's been getting easier to have one nowadays, the Lutari remains to be a underrated Neopet, being the 3rd most unpopular Neopet after the Draik and the Krawk. And why is that? Perhaps of its rarity, or the fact that it is so often overlooked, but whatever it is, it's about time that we come to appreciate the Lutari. This Lutari Day can be perhaps the most rewarding and fun holidays to come, and here are some things you can do to celebrate it. #1. First and foremost, get a Lutari. 1.They're unique, and getting one is a rare opportunity. 3.They come in 27 awesome colors including Eventide. 4.They have an entire island named after them; any other Neopet have that? 5.They have an interesting background with Lutari Island which used to be available. 6.The famous Roxton A. Colchester III was a Lutari. #2. 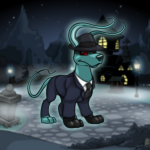 Dress up your Lutari. Lutaris come with a variety of different clothing from the Elegant Lutari set to the Lutari Sweet Little Sailor set. Show your Lutari some love by trying on the various sets available only for the Lutaris. Here are a few of the more famous ones. For the female Lutari who wants to go for a classy, elegant look, complete with fancy embroidered designs and a lovely wig with a tiara. As most Lutari enjoys swimming and diving, this is a famous set which gives them comfort for their underwater adventures. It's high-tech design and functions ensures that your Lutari would have an enjoyable and safe dive wherever it chooses to swim. 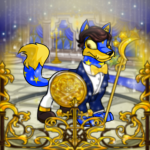 Got a fancy Lutari or one who you could afford to pamper with the most expensive clothing? This expensive set if only for those who could afford the luxury and the price tag that comes with it. Not every Lutari is a swimmer and some just reach for the skies. For those aviators seeking adventure above the waters, this set is for you, complete with a helmet. For those little girls who just want to look cute, this even comes with a lollipop! The perfect outfit for the cutest of Lutaris. Afterwards, if you could afford it, give your Lutari a new color, one that it would enjoy. There are a lot of different colors and some even come with outfits, such as Desert and Royalgirl. This island is actually quite a fascinating place despite the fact that people speculate that it remains to be nothing more than an island shrouded by mist. Of course there's the famous Mystery Island crowded with tourists and sunlight, but if you're looking for something new and fascinating, Lutari Island is a beautiful island to visit with your Lutari. It's a truly mysterious and fascinating place, as it is one of the most enigmatic places in all of Neopia (*cough* Jelly World is not real to all of you who disagrees). It moves randomly across Neopia as the island drifts across the sea, carrying its lush vegetation, dense jungle, tall trees, spring and pools along with it. As it has little visitors, the island (and its economy) is self-operating. Perhaps if you're lucky, you might even catch a glimpse of its inhabitants, which are not only Lutari, such as Briana the air Faerie. There are many things to do in Lutari Island. That Lutari Talisman everyone has? You can try hunting down the beads that go on it! You never know, there may be a reward. I am coming to reach the end of this article, and here I am realizing that whenever you celebrate a Neopian Holiday it shouldn't just be on that day. You don't adopt a Lutari then just go abandon it after Lutari day because we have to remember to love and appreciate all things such as this. Treat your Lutari if it were your own and continue to care for it such as a responsible Neopian would. Feed it Lutari Pancakes or read it Lutari Claw Care. Anything really. Lutari Day is a day of happiness and celebration but we should remember it is not a one-time thing. The same goes for any other Neopets Day, such as Xweetok Day or Lupe Day. And with that comes the end of this article, and I wish you all a Happy Lutari Day! There's nothing suspicious about coffee shops.